Manufacturers are increasingly facing challenges with the geometric integration of increasingly complex products. Product quality and value should not become the victims of the conflict between time and costs. OEMs in various industries have therefore implemented complex software processes to maintain an overview of the geometric relationships with the continued increase in the number of possible product configurations and variants. 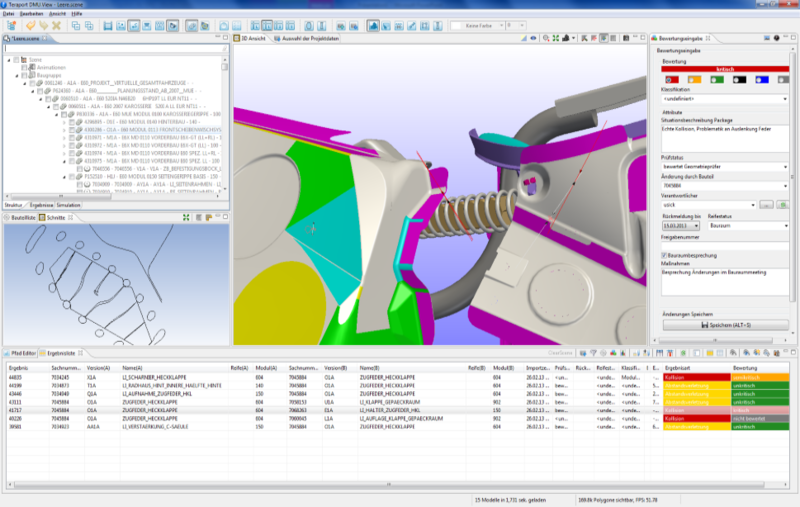 Complete virtual products are analysed for collisions, compliance function intervals and against infringement of the maximum allowed duplications of soft component parts. The results are managed, evaluated, communicated and archived in a results management system. This process has proven its worth for large players on the market, but still involves high barriers to entry. This is no longer the case from today! With ADV, Teraport presents a software for the full geometric validation process as an out-of-the-box solution. This is the ideal way for SMEs and suppliers to benefit from processes that have proven their worth to automotive manufacturers or air and space companies, without high investment costs.